Like so many homeowners in the Northeast, you probably can’t wait for the spring to arrive and bring in warmer temperatures. However, once the winter fades away, the spring gives rise to pest insects and terrible home infestations. Mosquitoes wait around the corner, and stink bugs congregate on your windows and doors. With humid seasons fast approaching, keep these facts in mind to reduce your need for spring and summer pest control in Concord, New Hampshire. Standing water creates more mosquitoes. If you have an upturned bucket or a wheelbarrow in your yard, consider flipping it over before spring showers. 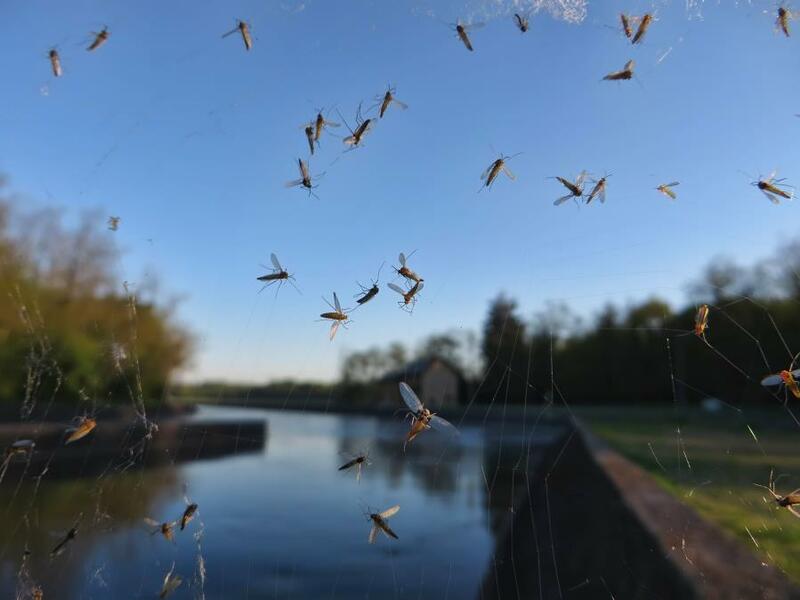 Mosquitoes live and breed around standing water, and you’ll only create more nuisance pests on your property if you fail to eliminate their breeding grounds. Some pests like to hitchhike. Fleas hop onto your pets and also cling to your shoes and clothing. If you’ve walked into an infested area, you’ll bring the pests into your home where they’ll scatter and breed in the carpet. Having an exterminator pretreat your yard for fleas will reduce spring and summer infestations. Bed bugs are a growing concern. Bed bugs have increased in number and now cause problems in schools, homes and businesses across the country. These pests also like to hitchhike and can hide in furniture, bedding and clothing. Don’t buy used furniture or clothing without first asking the seller about bed bugs. If you’re going out of town, be sure to inspect beneath the mattress in your hotel room. A warm winter means higher pest numbers. According to Pest World, having a warmer 2015 winter means higher pest populations for 2016. Preventative maintenance is the key to ensuring a pest-free spring and summer. A Modern Pest specialist can assist you with creating a plan to block entry points, eliminate breeding sites and reduce future pest invasions. Rodents won’t move out so easily. Cold New Hampshire winters send rodents fleeing for warmer spaces like your attic. However, once the spring arrives, they won’t leave their nests without a push in the right direction. Rodents such as squirrels and mice chew through boxes and wires, contaminate living spaces and cause allergies in some people. An exterminator can kick out the rodents, pest-proof your attic and reduce potential repair costs down the road. Pest insects and rodents are on the lookout for food, shelter and water throughout every season. When infestations threaten your home and property, contact Modern Pest for a real solution. Whether it’s bed bugs or carpenter ants, our specialists can identify pests, eliminate infestations and prevent them from ruining your year.